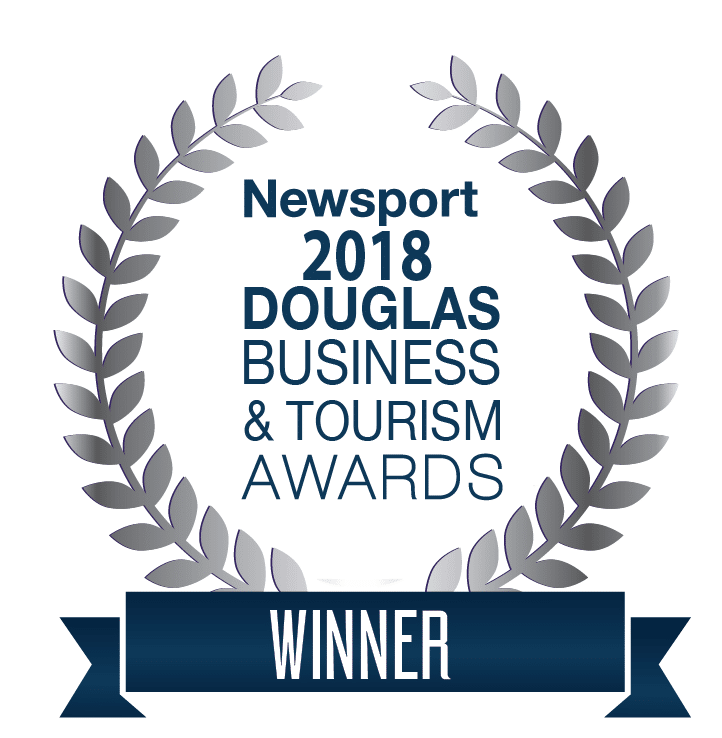 The Rainforest Habitat leads guests through a lush, tranquil environment where native species such as the endemic Boyd’s Forest Dragon, Eclectus Parrots and the endangered Southern Cassowary can be viewed in a natural setting. A meandering walkway allows the visitor to experience different levels of the rainforest and the varied microenvironments encapsulated within. At ground level, displays of fish and amphibians are illuminated providing a glimpse of these cryptic creatures whilst high in the canopy exquisitely coloured pigeons and parrots perch amongst the foliage and fruits. Learn about the pivotal role the world’s third largest bird and locally endangered species plays in the preservation of the Daintree Rainforest. Meet Cass and Airlie, our resident cassowaries. 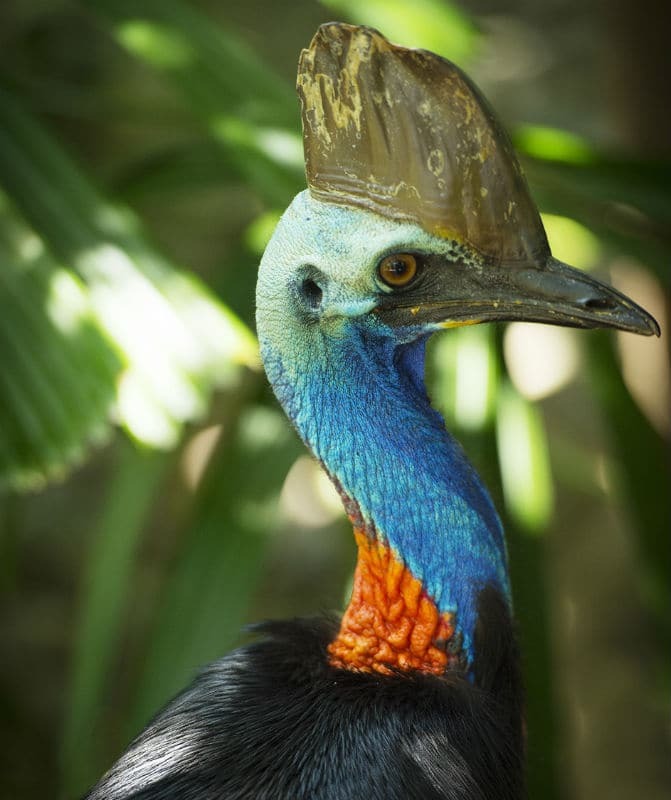 Admire these magnificent birds as you wander the Cassowary Walk and through the Rainforest Habitat. During this tour a meandering walkway allows visitors to experience different levels of the rainforest from the forest floor to the canopy. 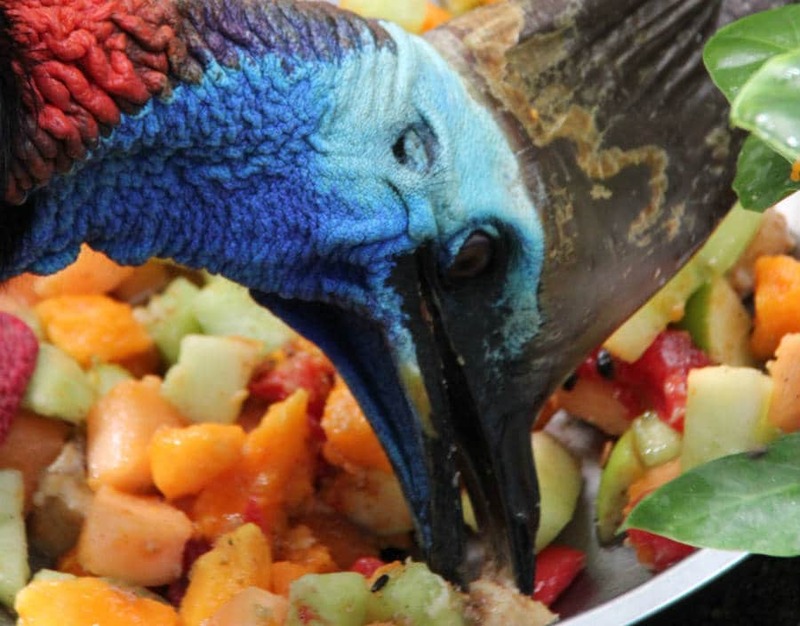 You follow the Cassowary Walk to learn about the pivotal role the world’s third largest bird and local endangered species plays in the preservation of the Daintree Rainforest. You will meet Cass and Airlie our resident cassowaries and you can’t help to admire these magnificent birds. Visitors will experience the different levels of this habitat from the forest floor to the canopy by following along our walkway which makes its way through the rainforest environment. 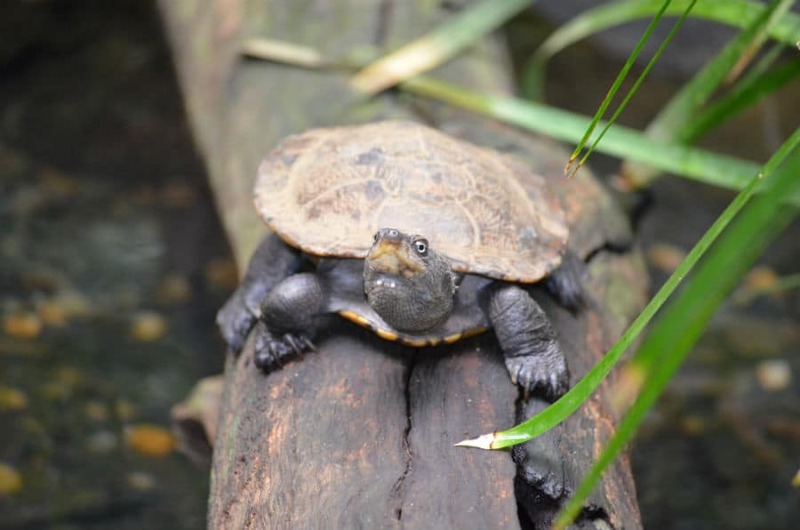 You have the opportunity to feed our turtles and learn about the characteristics of local turtle species, Krefft’s River and Saw-shelled turtles.